When I think of tea, I think of a warm mug of English breakfast tea with a dash of milk on a cold Winter morning. 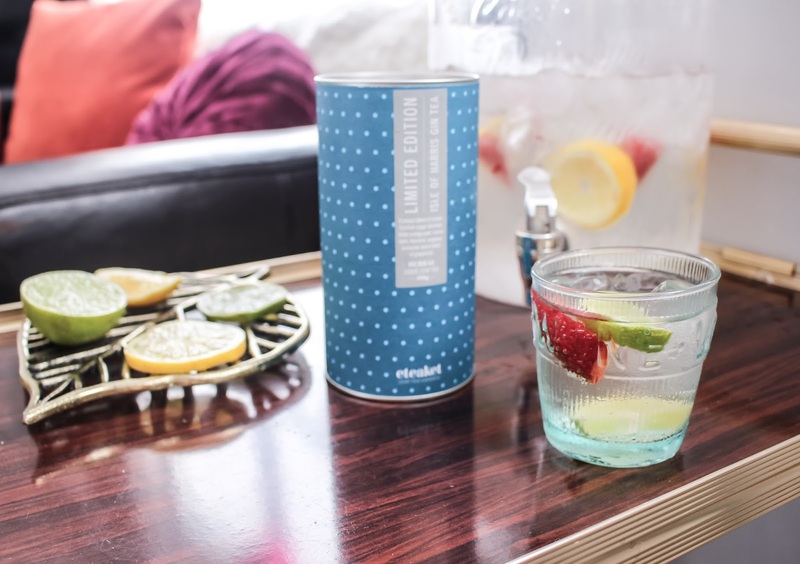 So when I found out that eteaket was teaming up with Isle of Harris Distillers to create a limited edition Gin Tea I was very intrigued. I not only love experimenting with cocktails but gin is always my go-to drink at the weekend. So I decided to experiment with some Gin tea cocktails for a few friends when they come round for a girls night this week. It was super simple and something a little bit special and different which is always fun! The Isle of Harris Gin Tea is a tasteful blend of Juniper, Coriander, Orange Peel, Liquorice Root, Cassia Bark and Sugar Kelp which makes for a delicious distinct and unique flavour. 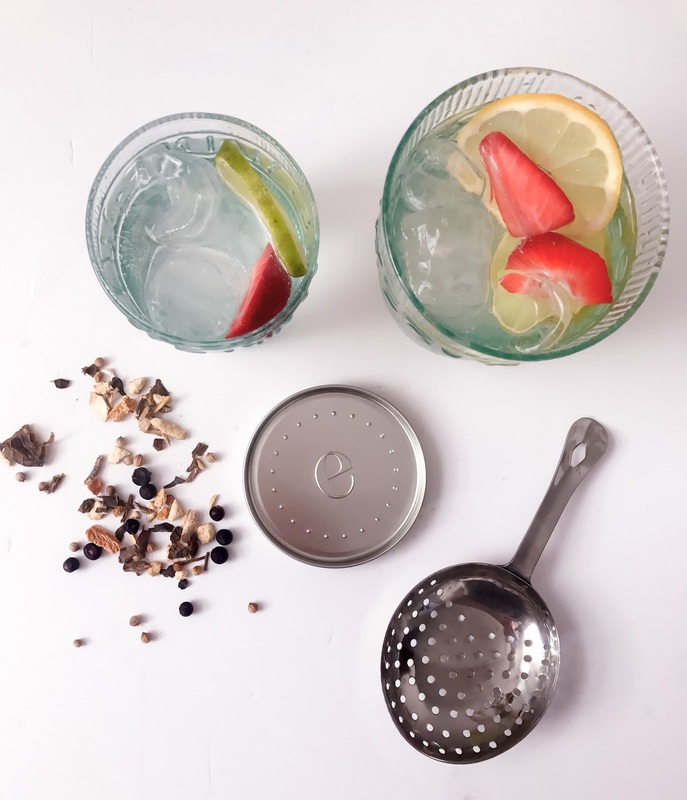 The combination of flavours paired with the gin is an amazing after dinner treat and is perfect for any gin lover. If you love experimenting with cocktails and love herbal teas this is the recipe for you. 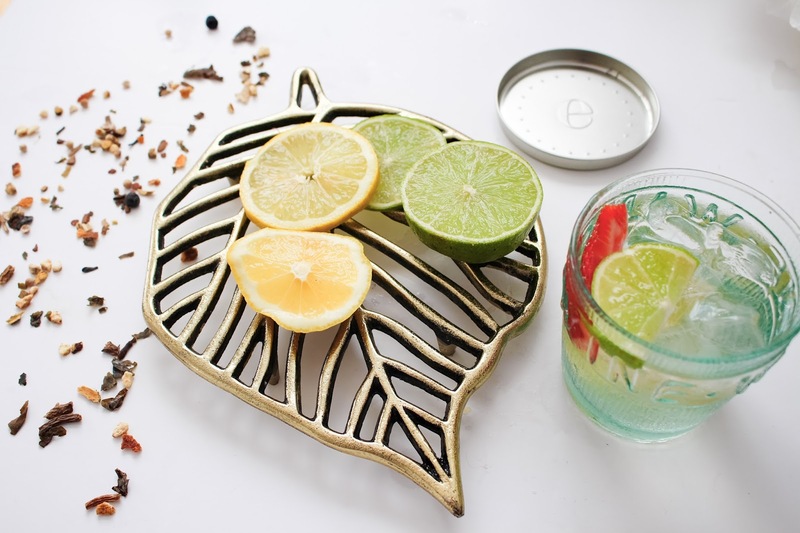 Head along to the eteaket Concept store at 41 Frederick Street, Edinburgh to pick up the ingredients or on the eteaket and Isle of Harris Gin websites to pick up the ingredients. Great recipe. I love experimenting with cocktails so will try this. Your photos are gorgeous too! I really have a soft spot for cocktails, especially when they're presented in a pretty way with fruit on top like you did. Love love! Pink, pink then a little bit more pink. Please. Why are hangovers so much worse once you hit 25?